Post apocalyptic novels always fascinate me. I tend to lean towards those books if I have two books in hand, and only have time or space to choose one of them. I always wonder what the future will look like, especially with the spectre of rapidly rising seas and widespread oil shortages looming over our heads. Add to that the increase of mob mentality and sabre rattling between world leaders who have the bomb, and the future could be very bleak indeed. 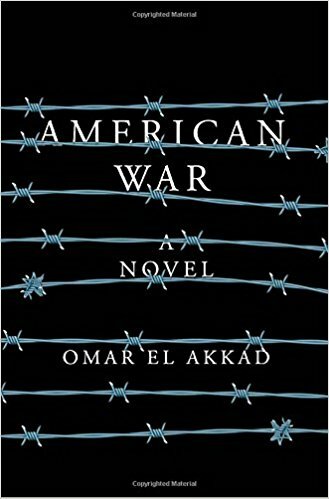 Omar Ed Akkad’s novel, American War, details life in the American South in a post-plague, post-second Civil War nation. Told through the eyes of Sarat Chestnut, a young girl who has been displaced by rising seas, oil bans, and war relocation camps, the story tells of a future that is bleak for a seceded South. Through her time learning to survive in refugee camps, she is befriended by an elusive benefactor who forges her into a spy and secret warrior bent on redemption. While this was advertised as a science fiction novel, this seems to be sci-fi, and more dystopian. The world is a bleak place in the seceded and war torn South. Refugees live a hand to mouth existence, hoping for the next supply truck to arrive. Despite being nearly a century in the future, the scenery in this book is not futuristic. In fact, in some cases it seems to be a regression of what we have today. Hence, the reason I call it dystopian. This novel exposes in all its ugliness, the vast gulf between the Haves and the Have-Nots. The description of the refugee camps are gritty and filled with a resigned acceptance. It is likely a very telling description of people’s existence in refugee camps around the world today, evicted from their homes, separated from family and friends, and simply looking for a place they will feel welcome. What efforts will those people make to find their way in the world once again? Sarat will do anything to protect what’s left of her family. She thrives on that feeling of hopelessness, channeling it to create something better for her life, and that of her family members. It is an interesting take on a second Civil War, which seems ever present in today’s environment. While I think the story is a great one, I am not entirely sold on the character of Sarat. There’s not much to like about her. She seems one-dimensional and stereotypical of reluctant heroes. That might be entirely a bad thing. Her character is supposed to be somewhat elusive, and it’s written by her nephew, years after the fact, when he is an old man. That storytelling makes her less of a real person than a legendary figure. So, maybe, my initial thoughts were incorrect, and this is perfectly written. Sometimes that happens, while I’m writing, I analyze the situation from a different angle. 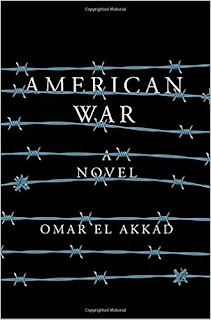 I liked American War by Omar El Akkad. This is his first novel. It is well written, and I cannot wait to see where he goes from here. New authors are a well of untapped potential. Finding a debut author I like can sometimes mean a lifetime of reading every piece of work they put out. I could see that happening with novels by Omar El Akkad. We’ll see where he goes with his sophomore effort. Craig Bacon reads more books than he can write reviews for. Maybe someday he’ll learn to write his reviews in less time so he can write one for each book. In the meantime, it’s time to read.